Beauty and the Beads. 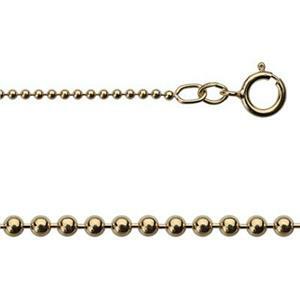 Our lovely 18 inch finished 14/20 Yellow Gold-Filled 1.2mm Bead or Ball Chain Necklace. For those of you who are capable of looking beyond the simplicity of the chain and recognizing the true heart and soul it contains. Pretty enough to wear with a gold ball gown. Don’t forget to add one of our gold filled charms.